PAY FOR 4 & WE’LL PAY FOR 1 MORE ! Four paying persons over 48″ tall, the fifth person enters FREE! Valid on Tuesdays to Thursdays only except public holidays. Coupon expires August 31st, 2019. BIRTHDAY 50% OFF SPECIAL ! If it’s your Birthday YOU can receive 50% OFF regular admission! Must present a valid picture I.D at the park for discounted entry. This offer is for the birthday person ONLY. *Valid within 4 days of your birthday. Offer expires August 31st, 2019. This covers admission to the water park, giving unlimited access to all the water slides, including the leisure river and the wave pool PLUS a meal. Sign Up & be the first to receive new coupons. Must present picture I.D. at gate to redeem any coupons. Enter the name & E-Mail address of the person who will be redeeming the coupon(s). TEXT FIELDS MARKED WITH AN *ASTERISK ARE REQUIRED. Contact our sales representative at (876) 618 – 0780 or info@koolrunnings.com about other specials and packages. Coupons cannot be combined with any other specials or promotions. Only one coupon per person/per visit please. All information will be kept confidential. 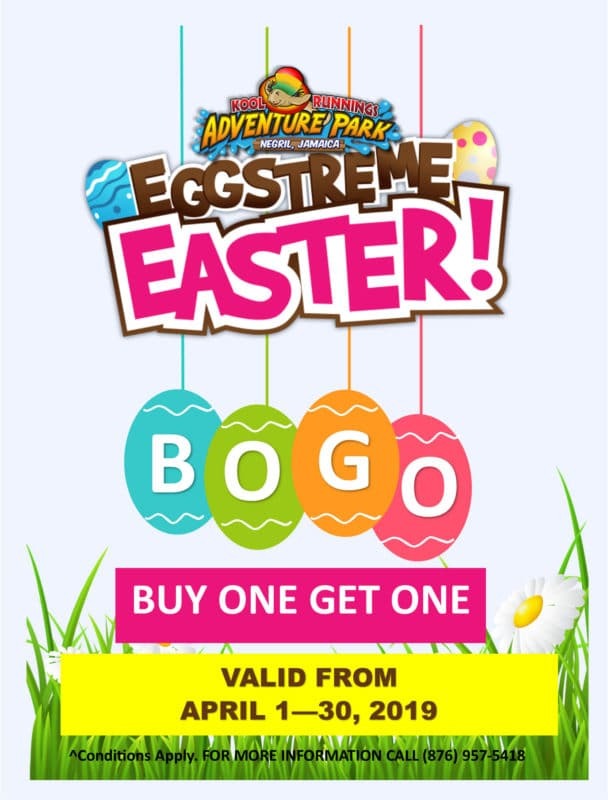 Kool Runnings staff are not authorized to exchange these coupons for any other offer than the offer printed on the coupon presented; discounts cannot be applied to rates already discounted. Please read the certificate carefully and in its entirety to ensure that you have a full understanding of the details of the offering. Total Advertising Solutions has notified Kool Runnings that they will be happy to answer any questions their customers may have regarding the coupons sold by their sales agents.